Curious about just how far your housing dollar goes in San Francisco? According to rental site Zumper, median rents citywide are $2,550 for a studio and $3,397 for a 1-bedroom. To see what's available below the median, we rounded up listings for apartments that are renting for $2,300/month or less. First, there's this 250-square-foot, 1-bedroom, 1-bathroom condo situated at 3047 California St., listed for $2,295/month. Tenants will find the unit features a mix of hardwood floors and carpeting, a walk-in closet and plenty of cabinet space. Pets aren't welcome. Here's a studio apartment at 825 Post St. that's also going for $2,295/month. This unit features hardwood floors, a dishwasher, closet space and stainless steel kitchen appliances. The building includes a roof deck and outdoor space. Both cats and dogs are permitted. Next, check out this 350-square-foot studio apartment located at 1438 Page St. that's listed for $2,250/month. In this furnished unit, you'll get high ceilings, plenty of natural light, ample closet space, a refrigerator and a stove. Both cats and dogs are permitted. 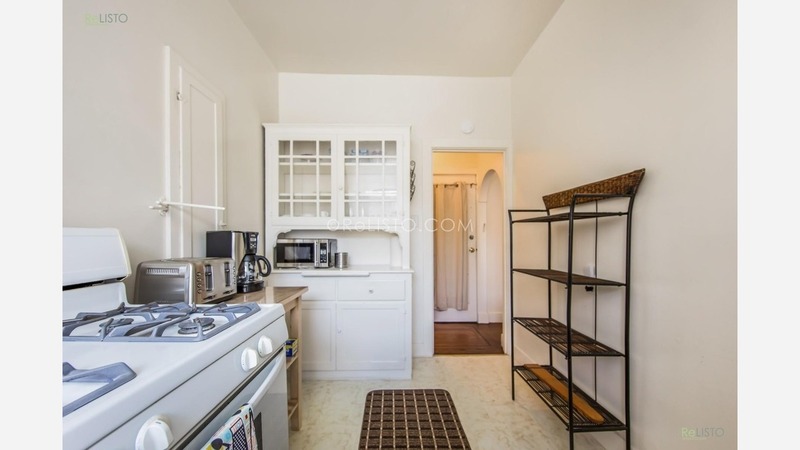 Located at 225 Fell St., this studio apartment is also listed for $2,250/month. In the unit, you can anticipate hardwood floors, high ceilings, a walk-in closet, bay windows and a separate kitchen. The building boasts on-site laundry, an elevator and secured entry. Pets aren't welcome. Next, there's this 1-bedroom, 1-bathroom apartment located at 245 Chenery St. that's listed for $2,200/month. This unit features carpeting, an open kitchen with kitchen appliances, closet space and ample natural lighting. Cats are negotiable. Here's a studio apartment at 300 16th Ave. that's also going for $2,200/month. Tenants can expect this unit to include hardwood floors, a walk-in closet and plenty of natural light. The building includes on-site laundry, but pets aren't welcome. Finally, check out this 1-bedroom, 1-bathroom apartment that's located at 442 2nd Ave. and listed for $2,200/month. In the unit, you can anticipate hardwood and tile floors, stainless steel kitchen appliances and central heating. When it comes to building amenities, you can expect assigned parking. Pets are not permitted.